UNDP is supporting Solomon Islands Government to help people across the Solomon Islands prepare for the future of climate change. The Solomon Islands is known as the Happy Isles for it's relaxed pace and joyful, smiling people. But this country that has been off-the-beaten-track of global attention, is now ground zero for sea level rise and climate change. 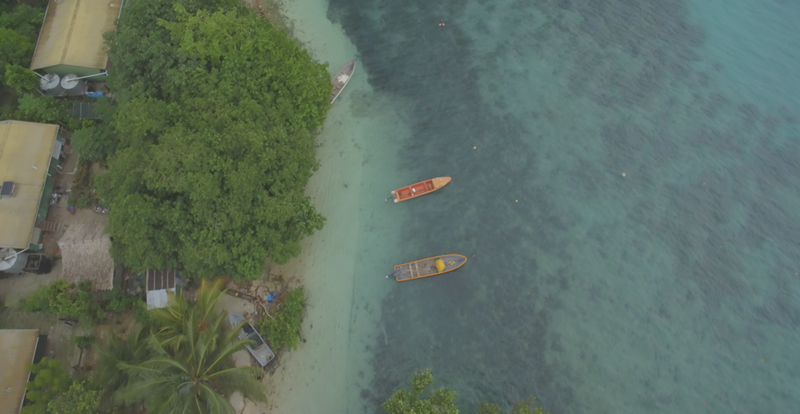 The sea advances further and further into coconut groves and food plantations all across the Solomon Islands. While this is the most visible evidence of climate change, the symptoms are everywhere, from water shortages in towns to reduced productivity on farms from too much rain. UNDP has teamed up with the Solomon Islands Government to try out different techniques to help people adapt. The main focus is to ensure that communities have enough water to deal with climate shocks like extreme storms or prolonged droughts. Through trial and error, the project is finding new ways that are in tune with what the communities need. There is no one-size-fits-all response and the issues and solutions are as diverse as the people themselves. These are just some of the people who are trying cope with climate change and the SIWSAP* project is helping coordinate the agents of change to build an adaptation movement that will endure beyond the project. Stephanie from Tigoa is worried about how climate change is undermining the reliability of traditional knowledge. "We can't trust the kastom guidance anymore because the weather is so volatile." She does what she can to pass on traditional Polynesian methods of gardening and weaving, but she thinks that it'll become more difficult to preserve in the future if her island continues to adopt modern ways and others leave for work in Honiara and further afield. The project is trying to fill the gap of climate information in Tigoa by providing regular weather updates with data on rainfall patterns, made possible by a project supported installation of a remote satellite monitored weather station, so people can plan their fishing, gardening and water usage. 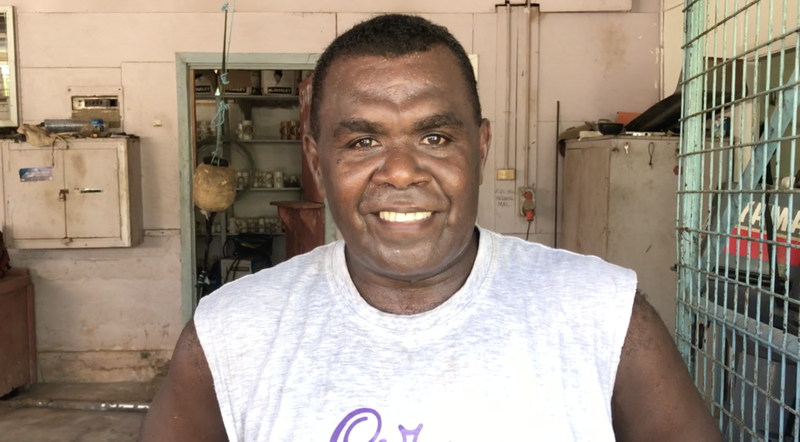 Junior lives just a few meters away from the sea on Taro island and his family deals with regular inundations when there are big storms or king tides. A new pump from the project has helped his family by giving them access to water for cleaning up and Junior is responsible for pumping and carrying buckets to help out around the house. Like most ground water on Taro, the well they use is becoming more salty as sea levels rise, but Junior and his family are able to mix water sources and get through the dry season. Growing up in a town as the son a mechanic, Junior is less connected to the land and doesn't see his future in a job that might depend on an unpredictable climate. Vulnerable: Junior's house can be seen on the left side of the photo. Willie from Gizo can build a durable water pump from a collection of PVC pipes in less than 30 minutes. All the fittings can be found at any hardware store, an important advantage in a country where getting replacement parts can be a challenge. 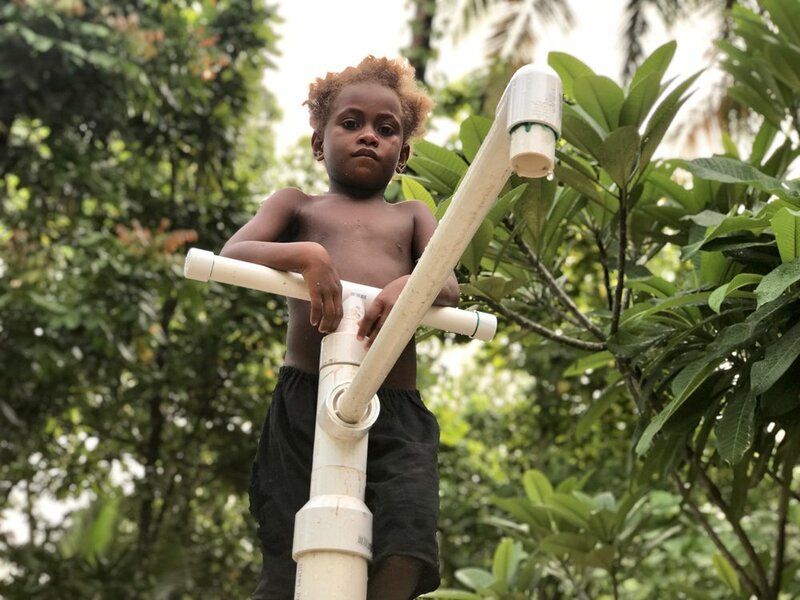 It's a rugged design that helps communities like his get more water from their wells and the Solomon Islands Government is rolling them out around the country. Longer dry seasons are increasing water stress in towns like Gizo. Willie and his colleagues from the Solomon Islands Government are installing pumps like this one around the country and UNDP is also adopting this technology. Willie and his colleagues from the SOlomoon Isaldns Governement are installing pumps like ths one around the counrty. Youla is from Choiseul and she's proud of the traditional methods of weaving string bags that have been passed down to her. The preferred string is made from coconut fibre and the fine mesh bags can take days or even weeks to complete so she always keeps a work in progress ready so she can weave while she waits for friends. 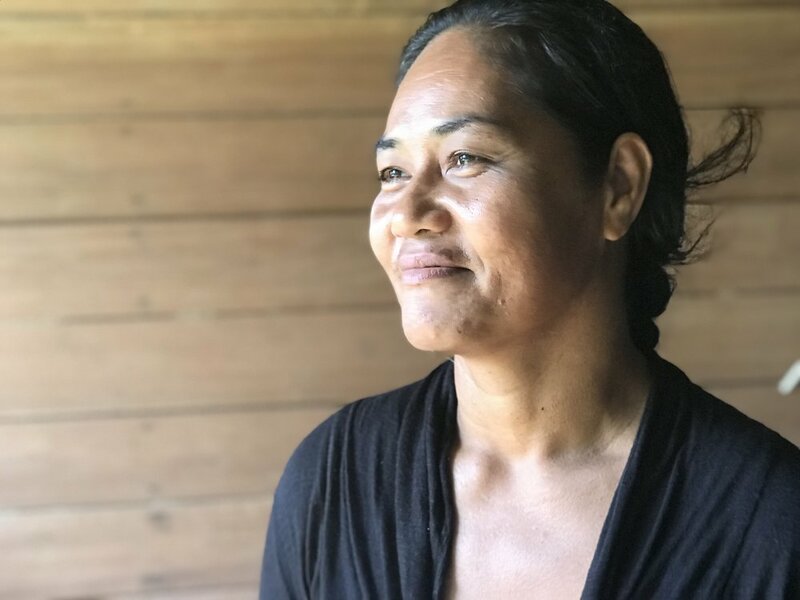 Rising sea levels and more extreme storms make the future of Taro uncertain and Youla is worried about what will happen to her community and their culture as they face an inevitable relocation to the mainland. Chief John from Tuwo is responsible for dozens of communities on the Reef Islands in Temotu. When he became chief in the mid 1990's, climate change was hardly a concern, but now his people face an existential threat from the rising sea. The low laying atolls have limited space for growing food and that premium soil is now under threat from salt water and new development to cope with a growing population that's retreating from the beach. 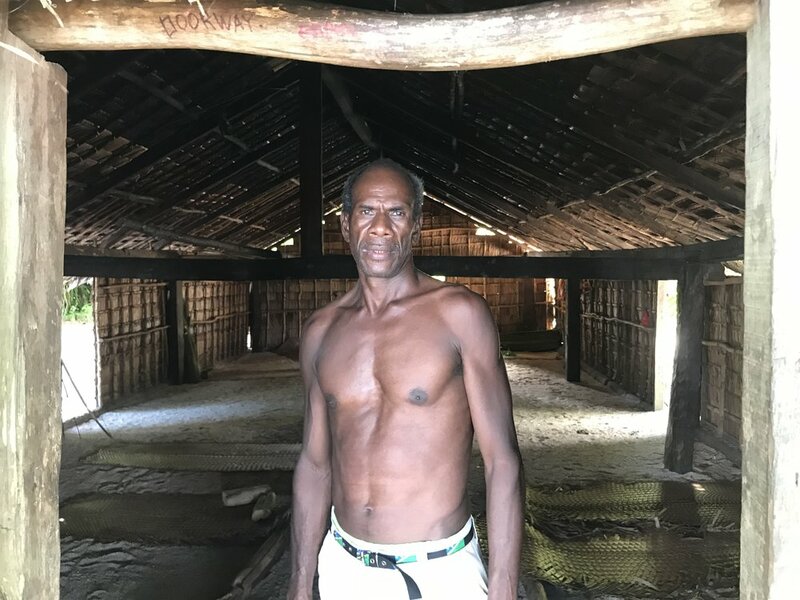 Chief John is relieved that his community has been supported by the project with 19 new pumps, additional rainwater storage and even a desalination unit to help his people live comfortably for the next decade as they plan an transition to the mainland. Tuwo: reliable wells on the reef islands are turning salty as sea levels rise. SIWSAP has helped the community by installing a solar powered desalination unit, that turn salty water into fresh drinking water, so this well can continue to serve the community in the decades to come. Cash strapped budgets over the past decade in the Solomon Islands have resulted in a schools that often don't have enough water for students to drink and wash their hands. The problem becomes even more acute in places like Gizo where Julie is from. The town can sometimes go months without a heavy rain, and the old tank at her school would run dry, leaving the students to make do without. But the project has helped them install a new rainwater tank so the children are able to stay healthy by regularly washing their hands. Serah is from the reef islands in Temotu. She's been trhough decades of ups and downs with her community, but she's anxious about the challenges they now face because of climate change. She's hopeful that the chief will work to find solutions and relieved that the support from the government has improved quality of life so she can enjoy time with her family, instead of beig forced to relocate to higher ground. Traditional Polynesian dances like this one are kept alive by people like James who are working to teach the younger generation about the wisdom of their elders that's been passed down through music and performance. 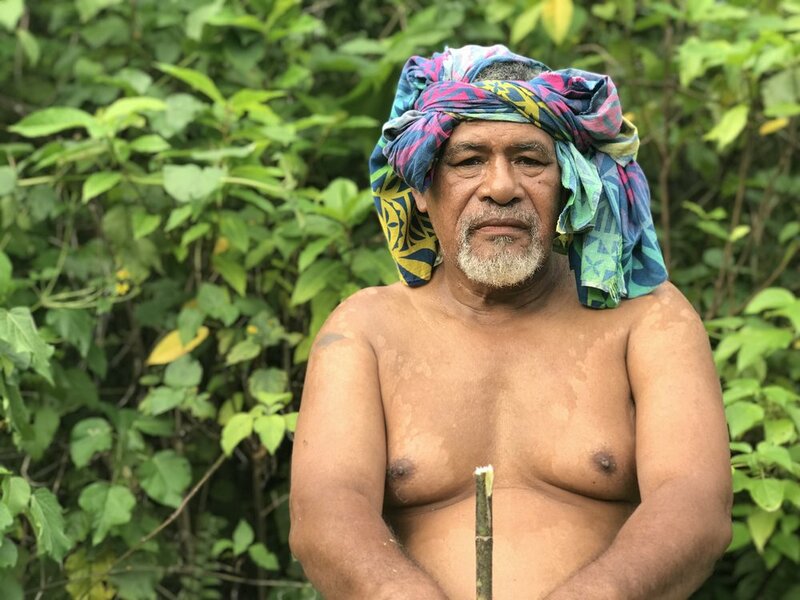 James is a pastor in his community of Tigoa on Rennell island but he wears a few hats as he's also one of the keepers of traditional Polynesian culture and music. He works with younger men to learn the dances, chants and songs that are used to mark special occasions in the annual calendar, from celebrations to fishing expeditions. James feels that logging and mining in his community has really weakened his culture. He says that money from resource extraction has made life easier, but it's also hastened the erosion of their cultural identity. As farming becomes more difficult with increased rainfall and erratic weather, he's concerned that more of his neighbours will look to sign logging and mining deals and leave traditional ways behind. *The Solomon Islands Water Sector Adaptation Project, “Gud Wata Fo Strongem Komuniti Lo Evritaem", is funded by the GEF-Least Developed Countries Fund and implemented by the Water Resources Division of Ministry of Mines, Energy and Rural Electrification with technical support from the United Nations Development Programme. The project aims to improve the resilience of water resources to the impacts climate change and improve health, sanitation and quality of life, so that livelihoods can be enhanced and sustained in the targeted vulnerable areas.